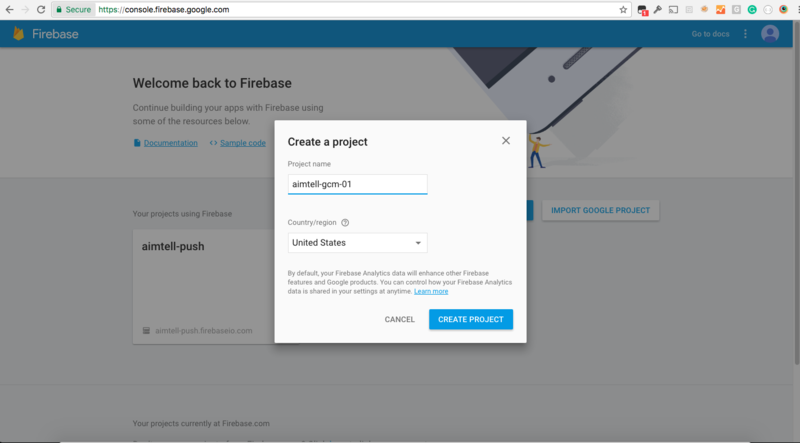 Head to https://console.firebase.google.com/ and create a new project. 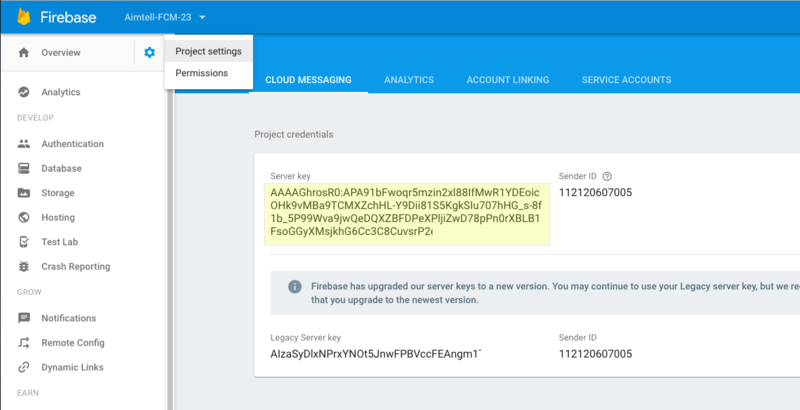 Select the "Cloud Messaging" tab in the navigation and then make sure you grab the "Server key" rather than Legacy Server key. 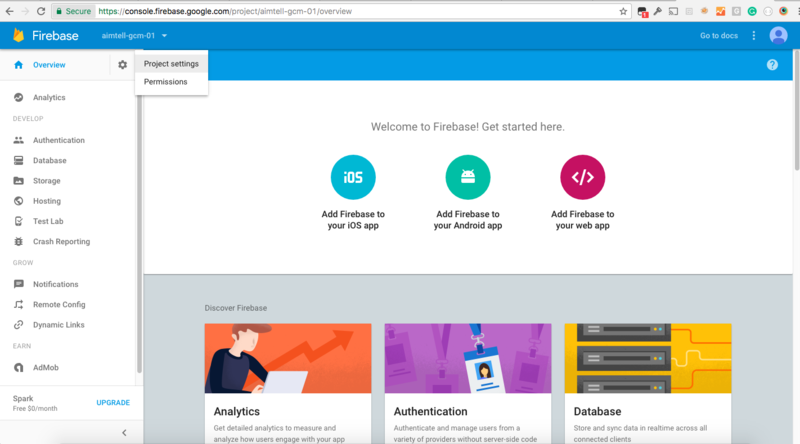 Head back to your aimtell dashboard and then go to "View Websites" > "Edit" > "Advanced Settings". Once there, add your API key and Sender ID into the corresponding fields. Hit save/update. Congratulations! 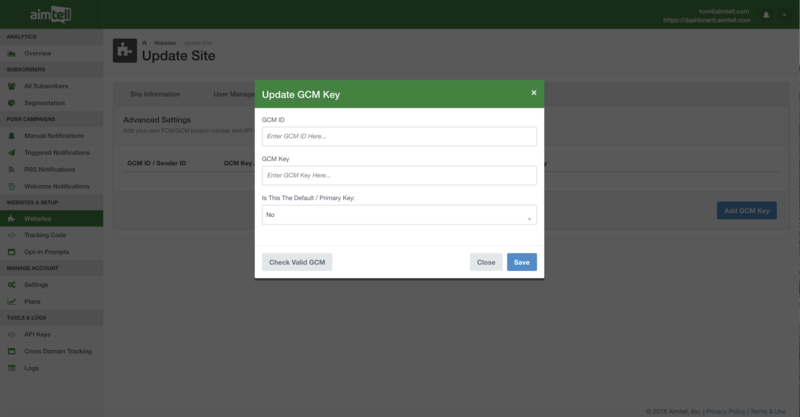 You have now successfully added your own FCM keys!